A month or so ago I wrote up a list of the challenges that I was going to be participating in during 2013. At the time I mentioned that I was waiting to hear what the War Through the Generations theme was going to be this year, and now I know that it is American Revolution. Like many other fans, I am hoping that the next book in the Outlander series by Diana Gabaldon might be out later this year and that would qualify for this challenge. There are a couple of other books I have heard of as well that might be interesting. 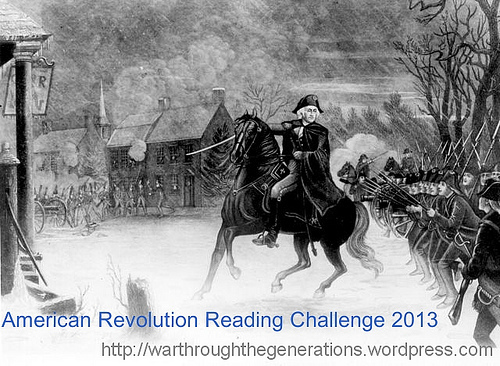 Does anyone have a favourite American Revolution book to recommend? I have participated in several Sci-fi Experiences hosted by Carl from Stainless Steel Droppings now, and I have a plan for this year. 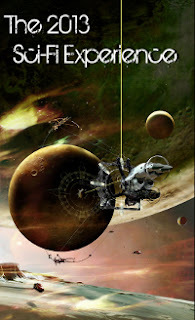 I have already posted one review for this experience but my aim is to read at least one, or maybe even two, of the Miles Vorkosigan books by Lois McMaster Bujold. I read the first two books and really enjoyed them. In the review, I said that I wanted to keep reading but I had to find time to fit them in the reading schedule. Here I am, a year later, forcing them in my reading schedule - sideways if necessary! Who knows, there could be more challenges, but at this stage I think this is it! Ooh, science fiction, I never seem to get around to that genre! Good luck with all your challenges this year, Marg!! I don't read a lot of science fiction myself, but I think I can manage a couple of books. love science fiction, hope you enjoy your experience with it this year. Thanks Becky! Hope all is well with you.